What do the legendary comedy actor Charlie Chaplin, Hollywood stars Yul Brynner and Michael Caine, and rock star Elvis Presley have in common? Well, they all have Romani ancestral roots, and thereby an Indian connection. 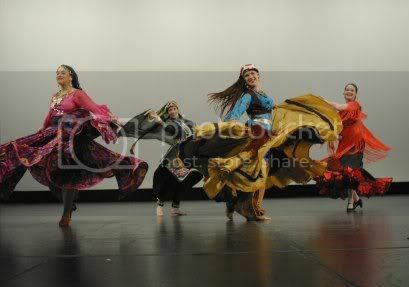 Dispersed over five continents, the Roma (or Romani), often known as gypsies, cygany, gitanos, manush or romani, are in fact one people united by their common roots, identity, culture and language, Romanès, with its many different dialects. The Roma have travelled the world since leaving their ancestral home of India about 900-1100 years ago. Influenced by each culture whose path they have crossed, the Roma have, in turn, inspired those with whom they have come into contact, partly through their unflagging love of freedom and their music, often central to their existence. But, for centuries the Roma have been exiled from different lands, persecuted, and even exterminated for their bohemian lifestyle. Linguistic and genetic evidence indicates the Romanies originated from the Indian subcontinent, emigrating from India towards the northwest. The Romani are generally believed to have originated in central India, possibly in the modern Indian state of Rajasthan, migrating to northwest India (the Punjab region) around 250 B.C. In the centuries spent here, there may have been close interaction with such established groups as the Rajputs and the Jats. Their subsequent westward migration, possibly in waves, is believed to have occurred between 500 A.D. and 1000 A.D. Contemporary populations, suggested as sharing a close relationship to the Romani are the Dom people of Central Asia and the Banjaras of India. The emigration from India likely took place in context of the raids by Mahmood Ghazni. As these soldiers were defeated, they were moved west with their families. 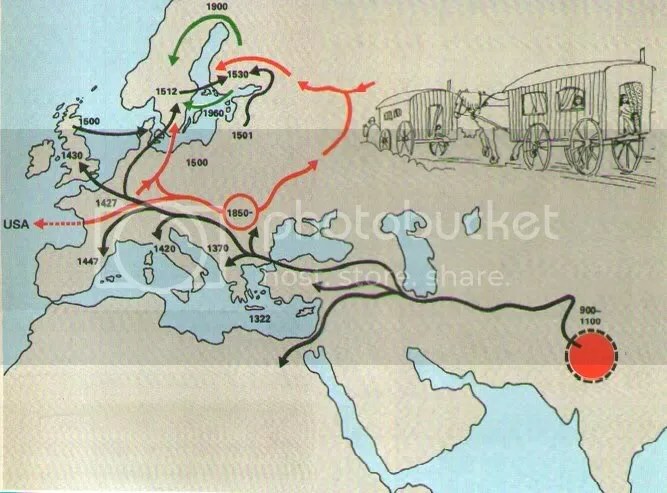 While the South Asian origin of the Romani people has long been established, the exact South Asian group from whom the Romanies have descended has been a matter of debate. The recent discovery of the Jat mutation that causes a type of glaucoma in Romani populations suggests that the Romani people are the descendants of the Jat people found in Northern India. and me who loves you. I miss you, Pundela my love. The World Romani Union has adopted a Romani flag which is recognized by all the Roma, the world over. It comprises of blue and green traditional colors with the red Ashok Chakra in the center (adopted from the Indian flag, but with 16 spokes). Blue is for the sky and the heavens. Green is the land, organic and growing. The Ashok Chakra in the center symbolizes movement and progress. 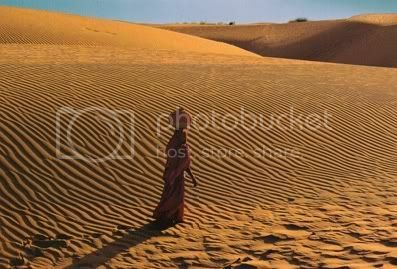 The most unique offering of Rajasthan is the majestic sand dunes in the Thar desert. Set against the blue sky, the wind shaped dunes gives a magical view. The picturesque dunes in the desert are the accumulation of windblown sand marks and one of nature’s most interesting and beautiful phenomena. The sand dunes keep changing colors and shapes every minute. The shimmering sands and contoured desolation of the Thar Desert have cradled for centuries, the old folk tradition of the people of Rajasthan. The brightness of the daily life, the legends of its heroism and romance are all captured in the vibrant and evocative music of this desert land. Folk music of Rajasthan, which is rich, evocative, heroic, plaintive and joyful, comes from a tradition that is old and undisturbed. 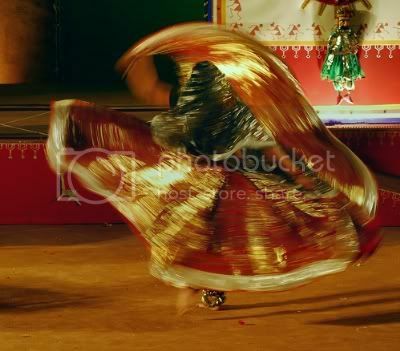 In Rajasthan the folk instruments have developed according to regional settings and environment. Some folk instruments are hundreds of years old in style and are comparable to the classical music instruments in quality of music. Every instrument is still made and played according to same tradition and passion. 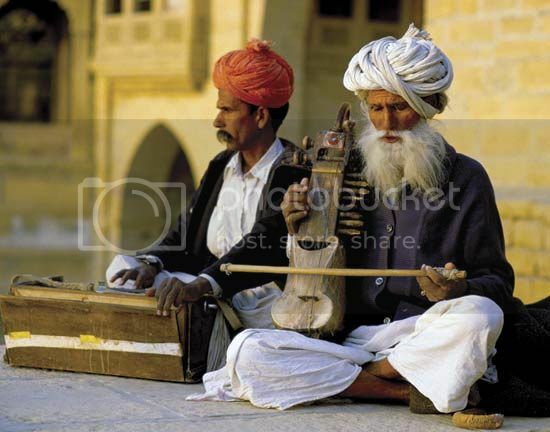 String instruments like Sarangi, Rawanhatha, Kamaycha and Bhapang add haunting melody to the music. 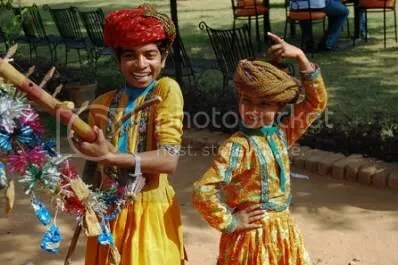 Percussion instrument like Dholak, Nagara, Chang and Dhap add the rhythmic beat to joyous music. 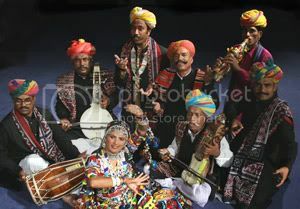 A variety of wind instruments complete the multitude of folk instruments which include, Algoja, Satara, Murla, Nad, Poongi and Shehnai. 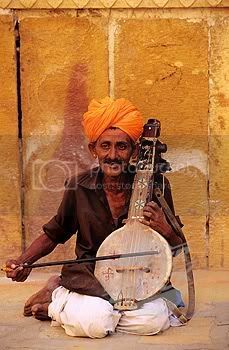 And then there are instruments like Kartaal or Morchang that are unique additions to the great repository of folk instruments as they are unlike any instruments found anywhere in the world. The vast array of Rajasthani folk instruments are made ingeniously from a variety of materials. Shells of dried gourds of all shapes and sizes are used for making string instruments, stems or bamboo segments for flutes and baked clay pots for drums. Conch shells are blown to produce full, resonant sounds, sticks create rasping rhythms and ghungroos (brass bells) jingle on waists and ankles. .. more Tunes of the Dunes coming soon. I confess I am fascinated by Rajasthani folk music. Although I am not a native of Rajasthan and have not visited this majestic state more than a couple of times, I do not miss a chance to listen to it’s folk music whenever I get an opportunity. Like me, I am sure there are millions out there, who have similar inclination towards this amazing music. A little deviation from the main theme of this blog i.e hindustani classical music. It is a matter of pride to us, that not only common listeners like you and me, but famed international eateries like the Buddha Bar and the likes have included the exotic and ethnic sounds of Rajasthani folk in their playlists. Hindustani classical music artists like Ustad Sultan Khan, Zakir Hussain, Shubha Mudgal, Anoushka Shankar, besides many tribal artists feature prominently in the music there. The Buddha Bar is an exclusive Buddha-themed bar and restaurant in Paris, France, serving Asian cuisine. The super-luxe Buddha Bar in Paris is a byword for high-end lounge bars. The Buddha Bar originally became popular because of the DJs choice of avant-garde ‘Lounge‘ and ‘Chill Out‘ genres of music. The Buddha Bar series was started by Claude Challe who compiled and produced the first two albums. The series continues with different producers like DJ Ravin, Sam Popat, Jean-Pierre Danel and David Visan. CDs have also been released using the music of the series. Compilation CDs of similar music are released under the Buddha Bar series by George V Records. The Buddha Bar was started by Raymond Visan, who before he became a restaurateur was a parfumeur. The two-story dining area is dominated by a large statue of Buddha and the bar upstairs has a statue of large ornate dragon. His first giant Buddha made its appearance in 1996. Buddha Bar has also opened venues in London, Dubai, Beirut, New York and Cairo. Smaller versions named Little Buddha Bar are located in Las Vegas, Vienna, Hurghada and Sharm El-Sheikh. Smooth transition of captivating World-Beats and mystic sound of Asian musical instruments, music plays an important role in a life of the Buddha Bar. While relaxing in the luxury of your guest room or dining in Buddha Bar Café, music will always be available and customizable to your moods. The DJs will distill musical selections to infuse your evenings with sensuality, reflecting the musical experience of millions of Buddha Bar CDs sold worldwide to demanding customers. Treading the path shown by Buddha Bar, Café La Semeuse (20 years of never bitter coffee, is their slogan), a coffee production house has followed suit. For the true connoisseurs of the coffee, the Café La Semeuse company produces music CDs. In these CDs, the ethnic music of those countries, from where the company buys coffee beans, is presented. According to their belief, listening to the music of the country in which the coffee beans are grown, adds to the completeness of drinking sensation. 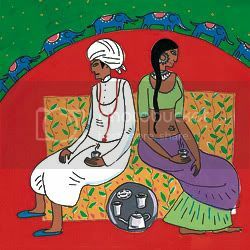 Presented here are a few exclusive recordings of Rajasthani folk music by Café La Semeuse. Café La Semeuse began 100 years ago in Switzerland, but it was in 1975, while on vacation, that Marc Greenberg, President of Café La Semeuse had the great good fortune of meeting the third-generation roaster of coffee, Marc Bloch, an encounter that would change his life. For years Bloch sent La Semeuse coffee for Greenberg to enjoy. He knew from the very first sip that this was noticeably better than any other coffee he had ever encountered. Friends and family who tried it shared his excitement. He would later learn that it was in fact La Semeuse ‘High Roasting‘ that made this coffee truly exceptional and delicious. His belief in the distinctiveness of this coffee was so strong that when Bloch dared him to introduce Café La Semeuse to his country – he took the dare…and never looked back. So set out your coffee percolator, prepare a mug of La Semeuse coffee, relax on a couch and just chill out. The above songs are exclusive field recordings of Café La Semeuse. As the names of the artists are not known, visitors are welcome to identify them on this blog. Today’s Tip : You may download a full album of Buddha Bar music by visiting it’s website (click here). The playlist will autoplay after the page loads up, let it play for an hour or so and retrieve the songs from the Internet Explorer cache (read how-to in the musicindiaonline.com post). The songs are of CD quality (128 kbps) and worth the effort. Moreover they are in mp3 format.